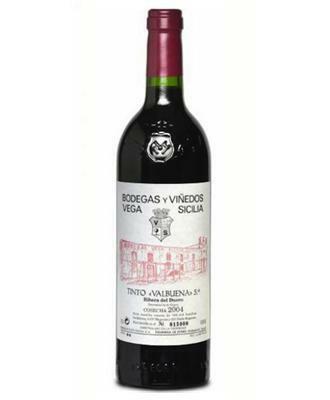 The winery Vega Sicilia elaborates this 1985 Vega Sicilia Valbuena 5º Año ($197.14), a red wine from Ribera del Duero with a blend based on tempranillo of 1985 and shows an alcoholic content of 5%. 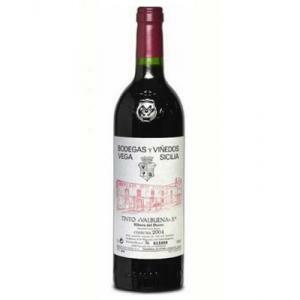 The 1985 Vega Sicilia Valbuena 5º Año is the ideal red to combine with hard cheese and foie. 4 of 5 points is the average score of this red according to Uvinum users. - View: dark cherry, orange trim, excellent oxidative evolution. - Nose: fruit of a well-seasoned oak nuance of ripe red fruit. GRAPES: tempranillo, cabernet sauvignon and merlot. A wine with a high layer and a nice cherry colour. The aromas of coffee and toffee predominate. A taste of nothing in particular, just wine. If you want to buy 1985 Vega Sicilia Valbuena 5º Año, at Uvinum you will find the best prices for Ribera del Duero red wine. You can buy it at Uvinum, easy, quick and safe. We offer a catalog of more than 59.000 products for sale which vaults us to the top of the mountain in selling wine, beer, and spirits in Europe with more than 38.000 customers who trust us.